Michael graduated from Shenandoah University in 2002 with a Master’s Degree in Physical Therapy. In 2004 he returned to Shenandoah University and completed a Transitional Doctorate Degree in Physical Therapy. Following that, Michael entered a clinic residency program in orthopedic manual physical therapy through the Manual Therapy Institute, graduating in 2005. He then continued on and achieved the designation Fellow of the American Academy of Orthopaedic Manual Physical Therapists (FAAOMPT) in 2007. 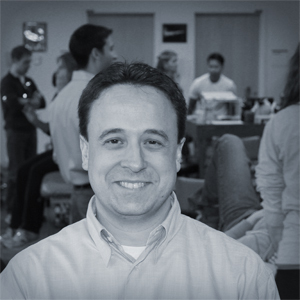 In 2011 Michael became Board Certified as an Orthopaedic Clinical Specialist (OCS) through the APTA. Michael has participated in a wide array of continuing education courses during his career with an emphasis on orthopedic manual techniques. Additionally, Michael has been a guest lecturer at local physical therapy programs, an instructor for various physical therapy continuing education courses and serves as a Clinical Instructor for students from multiple physical therapy programs. Michael is a member of the American Physical Therapy Association and the American Academy of Orthopaedic Manual Physical Therapists. He currently practices at the University of Virginia/Healthsouth Outpatient Sports Medicine Center.